Fair or unfair, the younger generations have negative assumptions about the way committees function. Teams, however, are something they understand and embrace. Most Millennials and Gen-Xers have been involved in team sports from an early age. Many workplaces today are organized into teams. The high-tech industry, for example, has made billions of dollars using creative, self-managing teams. So when asked to serve on a team in a congregation, younger people understand what they are agreeing to do. A committee feels a bit foreign to them. Around the turn of the century, I started to notice this generational preference for teams when I asked the growing number of Gen-Xers and Millennials in our congregation to serve on committees. They usually responded, “Thanks, but no thanks.” However, when I asked them to serve on a team, they replied, “What does the team do?” My experiences led me to write a book I am currently finishing on teams. 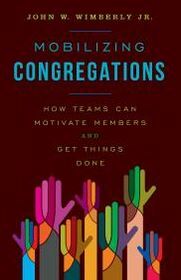 I want to highlight a couple of things from my research that will hopefully help those congregations interested in or already making the transition from a committee-driven organization to a team-driven organization. My first point is simply definitional. The word team was first used in the English language to describe teams of horses. As a verb, it was used to describe two or more horses “teamed” together. So from the beginning, the word was associated with getting work done more efficiently. A team of horses can do what a human being or single horse can’t do. In contrast, a committee is defined as a group of persons created by some body with authority, such as a Parliament, corporate board or congregational governing board. A committee is delegated responsibilities by and reports back to the body that creates it. Committees typically have a chairperson, secretary, minutes, etc. The definitions are important. Teams and committees are not the same thing with different names. Teams are task oriented; committees are more governance oriented. People joining congregations today seem to be more interested in doing tasks (e.g., feeding the hungry, caring for the elderly) than governance. As a result, they are more open to serving on teams and less receptive to serving on committees. However, teams are, in and of themselves, not foolproof. In order for teams to succeed, we need to give them proper direction, recruit the right people, provide ongoing coaching, and avoid micromanaging. Let me say a few words about each of those key ingredients to successful teams. The great thing about teams is their ability to come up with creative ways to do work. When they are not micromanaged from above, teams will perform far more efficiently than almost any other alternative. However, it is not micromanaging to tell a team what they are expected to do. In fact, when a team is established, if there is a lack of clarity about the assigned work, the team will flounder from the beginning. Not all people are team players. Individuals who don’t work well with others should not be on teams. Find them a job in the congregation that needs one person to do it. They will be happy and so will you. Teams need specific skill sets to get their work done. A team working on congregational finances needs team members who have very specific skills regarding the management of finances. Putting people on a team because they “represent” the choir, older adult members or any other specific constituency within a congregation is a sure way to disable a team before it gets started. Research reveals specific traits that are useful when recruiting team members such as 1) the skills or knowledge needed to do the assigned task, 2) good interpersonal and communication skills, 3) a commitment to working on a team, 3) a demonstrated ability to adapt to things as the team faces unexpected challenges and opportunities, 4) the gift of dependability, 5) and an ability to take initiative within the team. Trying to get people with as many of these characteristics as possible to serve on a team will dramatically increase the likelihood that the team will succeed. A team should have a leader. The leader may be designated from the beginning, the team may choose its own leader, or the team may rotate the leadership responsibility. However the leader is chosen, it needs to be clear who the leader is at any given moment. Once identified, the leader usually welcomes some coaching regarding team dynamics. For example, as conflict emerges within the team (most healthy teams have and embrace conflict as part of the creative process), the leader may need a coach to whom she/he can turn for advice. Staff people can be great coaches for leaders of congregational teams. The line between coaching and micromanaging is well trampled upon. Too often, a coach doesn’t coach a team. The coach interferes with or even dictates to a team. Such patterns of outside interference will doom efforts to create effective teams in our congregations. The genius of a team is that it can figure out how to do its work better than those who set up the team. The Japanese taught the world this truth with their success building automobiles with highly independent manufacturing teams. Assembly line teams were given the authority to change what engineers had designed. We need to allow teams to do their work as they think best. In conclusion, teams are not committees with a different name. They are totally different groupings of people. First in my experience as a pastor and now in my experience as a consultant, I have become convinced that if we employ teams in our congregations, we will mobilize members as never before. Teamwork can set our members free to do the work as they deem best. Clearly, this model requires trust in the teams. Isn’t the need to trust one another one of the core values most congregations preach? Teams are a prime opportunity to practice what we preach. I am a Presbyterian pastor who recently retired after thirty years of serving a congregation in the Foggy Bottom neighborhood of Washington, D.C. 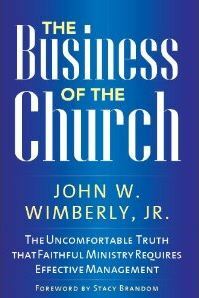 I am currently a Field Consultant for the Alban Institute as well as author of books dealing with management issues in congregations. I am a devoted potter, throwing pots on the wheel and teaching the wheel when my schedule allows. Finally, I consider Mexico my second homeland since we have a home in San Miguel de Allende, GTO, Mexico. Who Is Sitting in the Meeting?